I was recently contacted by Perfumes Club UK and asked if i would like to chose something from their website. If you have never heard of perfume club before then they are a fragrance and cosmetics website based in Majorca and boast over 4000 products on their website from the most prestigious brands with a hefty discount on most perfumes and products. I placed an order just like any other customer would do so i could get a feel for the whole website including purchasing. The website itself is easy to use and products can either be found by brand name or by product category i.e fragrances, make up, womens cosmetics, mens groomings etc. They accept credit card, bank transfer or paypal so it is accessible payment wise to most people. Both the products i chose came well packed in a large cardboard box and both came in tact. The two products i chose were Marc By Marc Jacobs Daisy Eau So Fresh. I absolutely love the Marc By Marc Jacobs perfumes and this was definitely next on my wish list of perfumes to buy so when i had the opportunity to chose anything from the website i knew this is what i wanted and i just had to have it! It is the 75ml version so quite a hefty size bottle and perfumes club sell this particular fragrance for £39.06 which is a massive saving of £9 from UK prices as this would cost £48 in Boots or any other department store. It is a gorgeous summer scent that is a little lighter than its big sister Daisy. 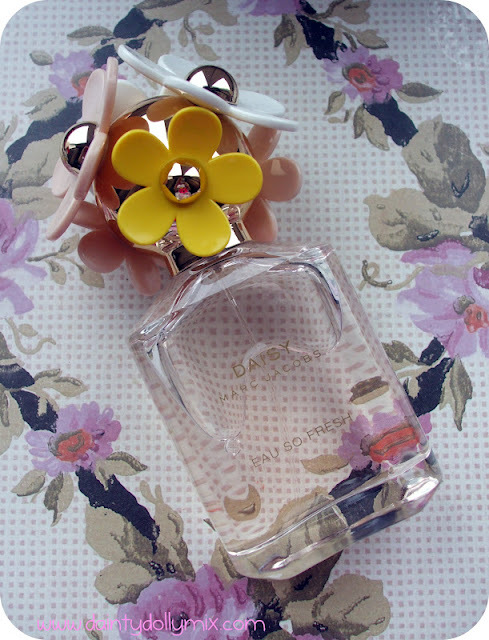 The bottle is especially gorgeous, it is a little taller than the original and has pretty white, pale pink and yellow flowers on the lid. 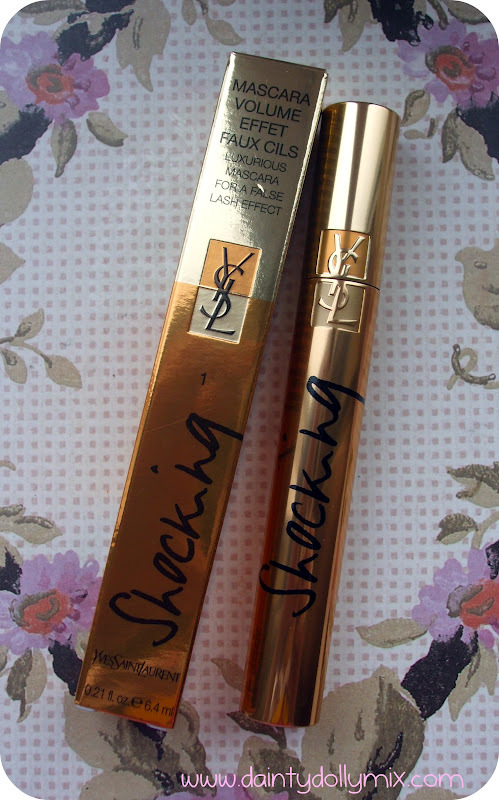 Another product that i chose that has also been on my wishlist for quite some time is the YSL Fau Cils Shocking Mascara. I chose the shade number 1 in Deep Black. On the Perfumes Club website this costs just short of £18 at £17.81 whereas in the UK it would cost £23. The tube itself feels so lightweight and has a rose gold colour to it, it has soft plastic bristles and so far i really like it! One coat is pretty sufficient and i havent found it to be clumpy just yet, time will tell and i will pop a proper review up soon! Shipping cost to the UK is £6.90 so you would probably benefit more with a bigger order as the saving would be higher and if you spend over £130 then the postage is free. Shipping was super quick and efficient and i was sent a confirmation of my order, a email when my order was dispatched and also a UPS tracking number of my order with a date when it was most likely to be delivered (and it was delivered on that day so i could wait in for it!). It took 6 days to arrive from when it was dispatched which i think is pretty good going to say it has come from the Balearic Islands! I would highly recommend the Perfumes Club website to those looking for discounted but original fragrances and cosmetics. Prices are much cheaper than we would find here in the UK, much like the prices you would find in perfume shops on holiday and with one shipping cost no matter how much you order i have no complaints whatsoever! They also carry a wide range of high end cosmetics including Dior and Chanel. I will be writing full reviews on both products i received at a later date but for now i just wanted to share with you what i received and the overall website experience. Have you heard of Perfumes Club before? Will you be having a look at the website? Will definitely be looking at this site. ooo fab, I'm off to try and source a perfume that you can mostly only buy in europe! 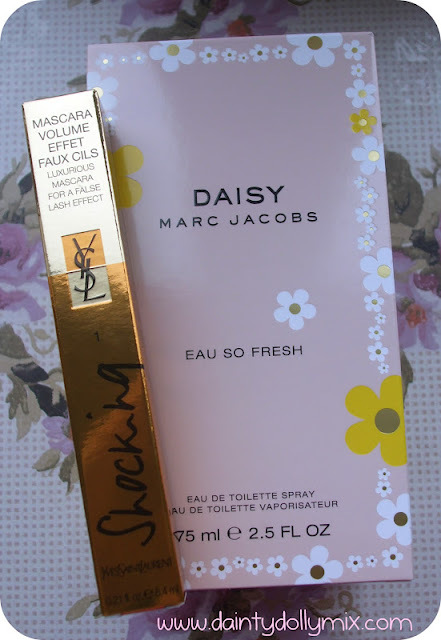 I adore the mac jacobs perfume, one of my favs and its perfect for spring! 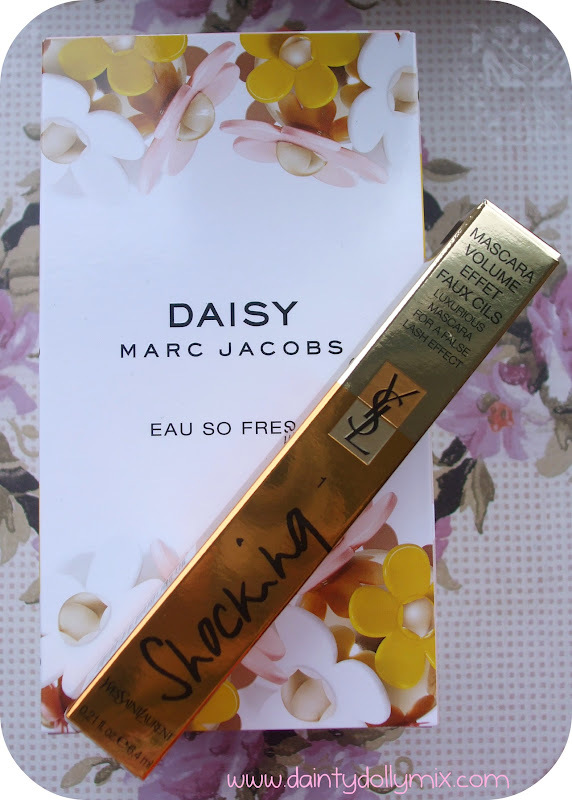 I love the Daisy by Marc Jacobs perfume, hopefully getting it for my birthday :). Love your blog, always great fun to read.